“Yes, love,” I acknowledged, crossing my arms and eying the pile of wrapped packages hugging the base of the tree. After all, this was two weeks before Christmas, and every gift lying there had been purchased by Mary and me, my parents, or my in-laws. 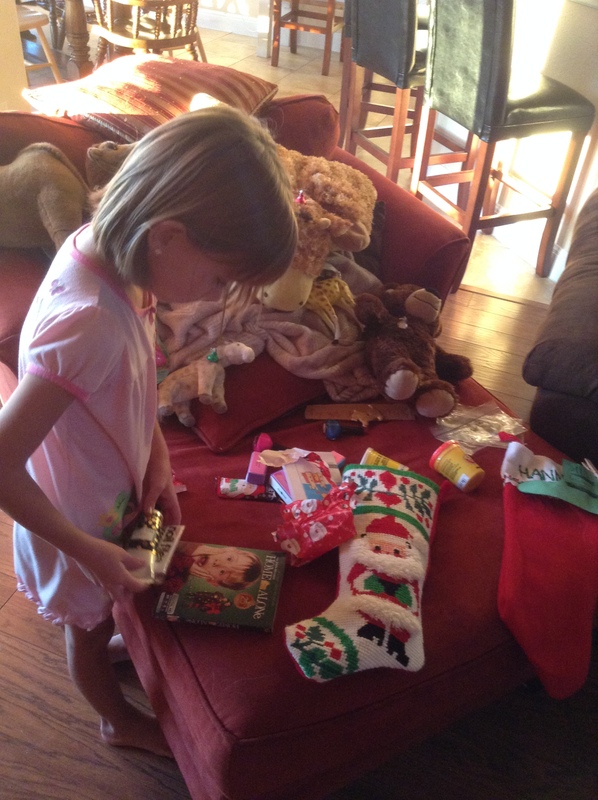 Santa hadn’t even stopped by yet. Had we gone overboard this year? I wondered. Had we diluted—or, God forbid, distorted—the true meaning of Christmas? Had we crossed the line and succumbed to the rampant commercialism oft lamented by Christians trying to hang on to the hope, joy, peace, and love that Christmas represents? Had we set a new precedent in expectation? Had we made the celebration of Christ’s incarnation confusing? Or worse, meaningless? I pushed away the nagging thoughts. “Remember, sweet pea, it’s not about the number of presents you get but about the birth of Jesus.” I sounded like a cheesy Christmas card. Without a moment’s pause to consider the morning’s haul, Hannah and I jumped right into figuring out what the Q-BA-Maze thing was all about. Then we built a domino run with her two domino sets. Next, she constructed a Lego Space Needle. Then we sat down to watch Inside Out. “Why don’t we play with your Nano Bugs?” I suggested after the movie finished. “I didn’t get a track,” Hannah said. “I guess,” she relented. She peeled a Nano Bug out of the package, switched it on, and placed it on the floor. Immediately it bee lined for the oven and disappeared into the netherworld underneath. When we finally fished it out, we discovered, much to Hannah’s disgust, that it had captured a rather large clump of dog hair complete with a mummified wolf spider embedded in it. “Eww!” she screamed. “See, Dad, this is why we need a track.” Or rather, this is why Daddy needs to pull the stove out from the wall more often to let Mommy clean behind it. Three weeks passed. One afternoon Hannah interrupted me as I passed through the house on my way from the attic to the bathroom. We were taking advantage of the cool weather and a string of unfettered days to declutter the space above the garage and improve its storage capability (and prevent me from stepping through the drywall again). “Dad, can I play with the boxes on the back porch?” Hannah asked. I’d piled dozens of boxes we’d cleared out of the attic onto the back patio to be burned. I shrugged. Several robots sat on her craft table, unopened and untouched. A kitchen science kit, a gift from at least a year ago, mingled with the stack of new presents, still wrapped in clear plastic. I hadn’t seen the Q-BA-Maze since Christmas day, and most of the other gifts she’d been so excited about had disappeared altogether. I’m sure most of them ended up on the Island of Misfit Toys. Excitedly she ran out the back door and spent the next hour or two building what looked like an elaborate Habitrail fashioned from discarded cardboard and masking tape. 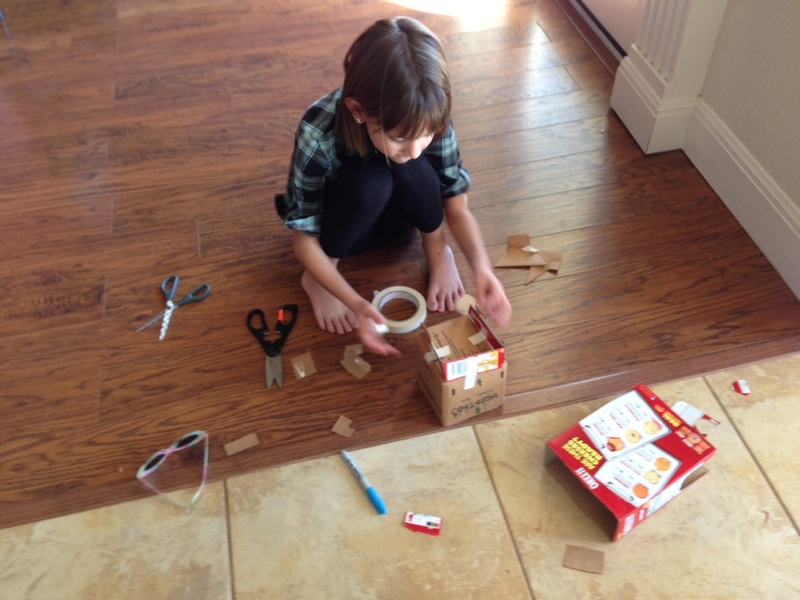 A few days later, Hannah transformed a large cookie sheet and several boxes into a functioning Nano Bug habitat. I watched, fascinated, as the cockroach-like toys scuttled around the track, dodging in and out of an inverted box’s rough-hewn hidey holes. “Keep your lives free from the love of money and be content with what you have,” advised the writer of the Letter to the Hebrews, “because God has said, ‘Never will I leave you; never will I forsake you’” (Hebrews 13:5 NIV®). When I first read that passage so long ago it shot straight to my heart and has been lodged there ever since. “Be content with what you have.” Yes . . . . Be content with the roof over your head, the food on the table, the clothes on your back, the labor you’ve been given. Be happy with where you are in the moment, with the blessings God has already rained down on you, with the relationships He’s placed in your life, with the surprises He’s planned for you and is revealing even now. For what is life but the day-to-day triumph of simple moments lived fully? 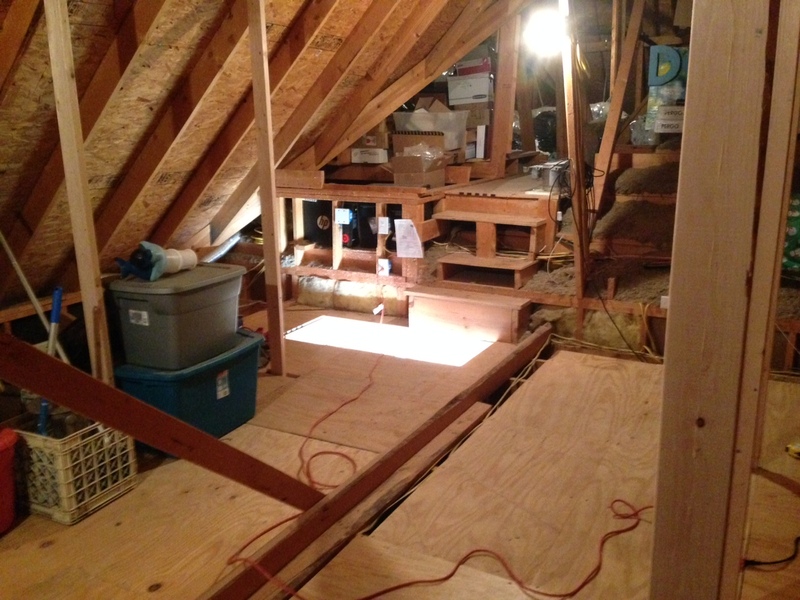 By the end of this year I hope to have the attic organized and the junk occupying it pared down to what we actually use. I plan to clean out my garden shed, purge our closets, and, to Mary’s delight, downsize the sentimental detritus I’ve accumulated over the last 40 years. I plan to spend time more intentionally with my family, just enjoying who we are and who God made us to be. I want to live life with a more intentional simplicity to make room for what really matters, to cast off the “stuff”—all the stuff—that so easily entangles. And as for Christmas this year, well, I don’t know how easy a paper wad will be to wrap, but an old cardboard box should be a cinch.